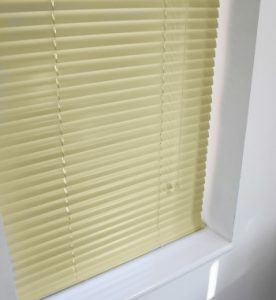 Venetian Blinds available in 16 mm or 25 mm from Aluminium metal slats. 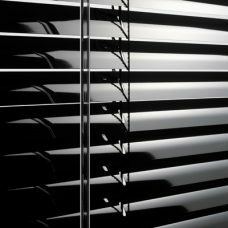 Customers can buy Venetian Blinds online in our web shop. Of particular note, the range, colours, styles as well as textures has increased over many years. 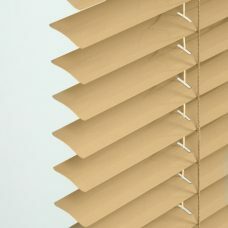 Choice of slats – standard, gloss, pearl, textured, matt to name a few. The head rail measures 25 mm wide by 24 mm deep. A U shaped head rail and a closed bottom rail form the base construction. Cords lift or lower the blinds. In addition, all blinds come with the latest Blind Safety mechanism ensuring Blinds Safety Regulations compliance. Slats open and close using an acrylic wand. Therefore, complete control of the amount of light entering the room is available. In addition, the blinds maybe fitted in the recess of a window or outside the window. 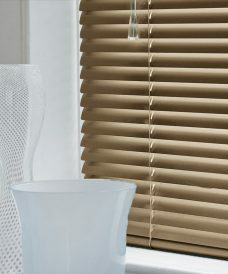 A range of Venetian Blinds to suit every colour scheme obtainable online. Black slats look really effective in a monochromatic scheme. Thermo Stop Blinds/ Thermal range reduce heat gain and heat loss. 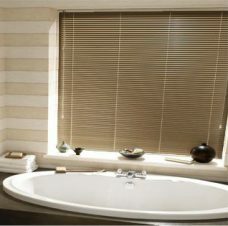 Indeed, the blinds remain suitable window treatment in any project. 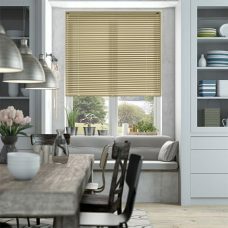 Bespoke blinds quotes can be ordered securely from our online shop in the UK. Moreover, customers living in Milton Keynes, allow us to bring the collection to you. NB If the head and bottom rail is NOT an exact match with your chosen slat, the head rail and bottom rail are colour coordinated as per the manufactures recommendations. Aliwood slats replicate real wood. As a result, some shade variation may occur between batches. 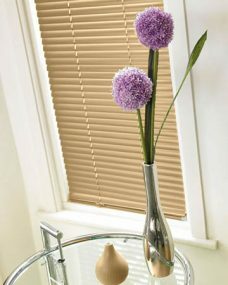 NB To ensure that the aluminium slat is the right slat for your window treatment, order a sample. To say nothing of the way the variation devices or monitors display our blinds. Equally, the blinds photos provide an illustration how they may look. 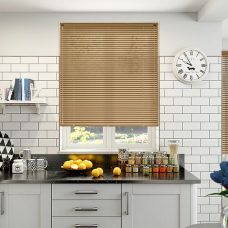 Other Venetian Blinds choices in greater price range.